Layers of exotic flavours, gentle heat of ginger followed by the tang of lime. 70% dark chocolate made with Baracoa beans from eastern Cuba. 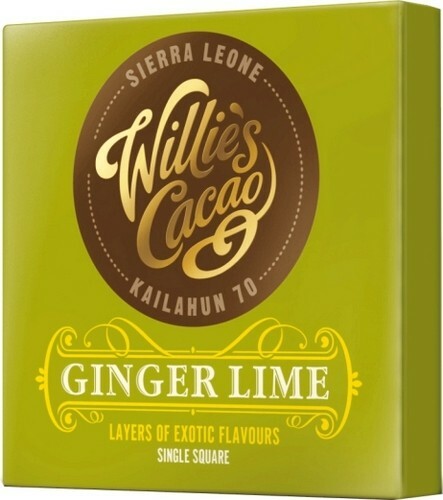 ingredients: cocoa mass, raw cane sugar, crystallised ginger, cocoa butter, lime oil. may contain traces of nuts.